« Strawberry-Lemon Marmalade for May C.L.U.E. I got the idea for your gift from Cheap Ethnic Eatz and had to search out the teas that Evelyne suggested. She recommended all Green & Black’s chocolates but I could not find all of their flavors. If you like any of these pairings, I got all the chocolate at Sprouts, the teas from Amazon, and the tea bags from Target. 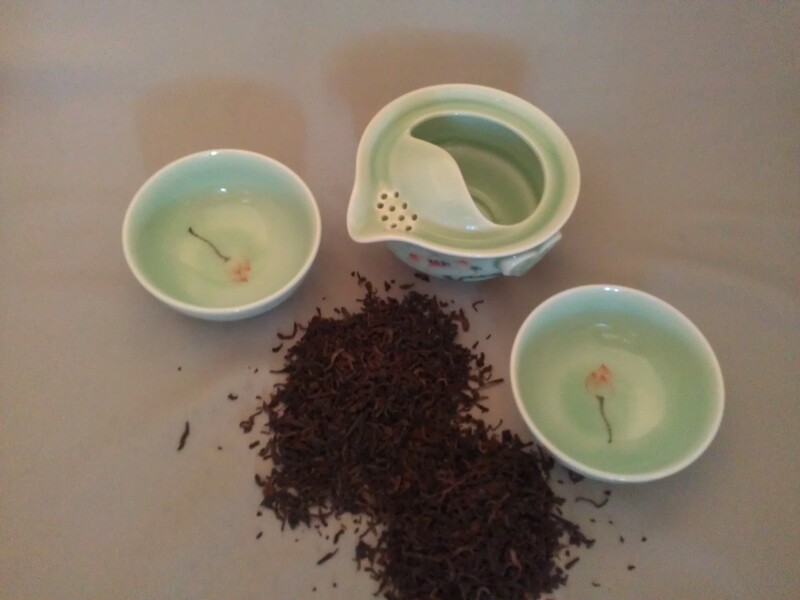 An ancient and much loved tea from China, large leaves are dried over smoky pine fires. As you might imagine, the tea develops a distinctive smoky flavor sometimes compared to a single-malt whiskey and fine cigars. Pair with the Endangered Species Dark Chocolate Hazelnut Toffee and/or Theo’s Dark Chocolate Ginger. TGY stands for this tea’s Chinese name, Tie Guan Yin, or “Iron Warrior Monk” in English. This tea best blends the best nutty flavors with oolong’s characteristic light floral taste. I came up with this pairing myself. Try it with the Divine’s Dark Chocolate Raspberry or the Alter Ego’s Dark Quinoa. I thought the raspberry might play well with the floral components of this tea and the Dark Quinoa would pair well with the nuttiness. Delivering a deep red infusion with a fragrant sweet yet woodsy aroma and mild earthy depth, this Naked Pu- Erh has a medium to thick body with complex floral notes and a lingering hint of honeysuckle at the end. Dr. Oz recommends it for its positive health effects and delicious flavor. Pair with Green & Black’s Dark Chocolate. I really was excited to find the tea filter bags. There are a couple of coffee houses in Tulsa that use something like this. One or two I think we have visited together. 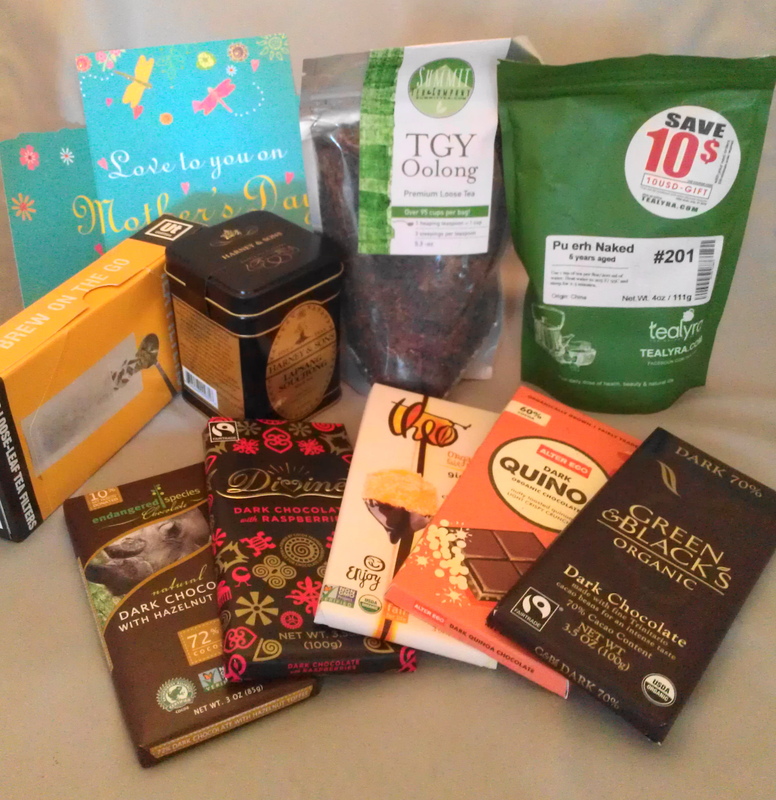 A huge thank you to Evelyne for coming up with the idea of a tea and chocolate pairing. I think my mom will love it. 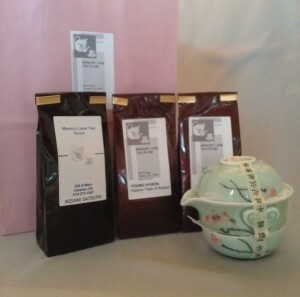 In addition, I sent my MiL this lovely Gawain and some locally packaged teas from a local tea house, Memory Lane. She got Young Hyson (a historic tea of Boston), Asam Satrupa, and “Berry” Grey (just for fun). Again, Evelyne, thank you for the great idea and for introducing me to a Gawain. Please check her website for her really cool Gawain. She was so kind as to send me the link to order one like hers, but she had ordered it direct from China. I didn’t think I had enough shipping time to get it before Mother’s Day. (You know, slow boat from China and all.) I found mine on Amazon and even ordered one for myself. 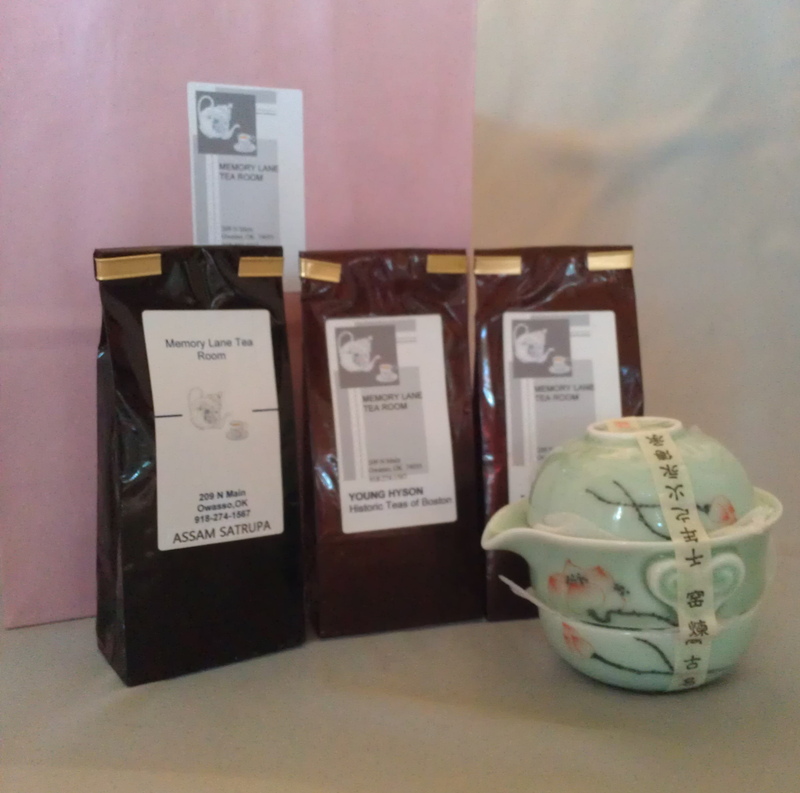 This morning, I brewed up some of the Pu- Erh tea I “borrowed” from my mom’s gift. I love this little tea set. Thank you again, Evelyne. Unfortunately, my mom’s present set under my desk all week to get mailed. The Hubs had a busy week as well. We both got them in the mail on Friday. Even doing priority, I doubt they get them before Monday. Good thing moms are forgiving. I bet your mom will love the present! Oolong and Puer are both my favourites. Since I borrowed the Pu-er from her (LOL), it is my favorite, too. Perfect Mother’s Day gift. Maybe I need to forward this post to my kids for next year???? I saw Evelyn’s post earlier and really, really loved the idea of tea and chocolate. What a great idea to make it a mother’s day gift. Lucky mom!! What a beautiful gift for your mother Debra! I am sure she will appreciate it! I love the idea of pairing tea and chocolate! Its a fab idea. I have been to such events—-I took a class in tea and chocolate tasting class at World Tea Convention in Las Vegas a few years ago and blogged about it myself. It really is a BUNCH of fun. It’s subjective and you can’t go ‘wrong’.